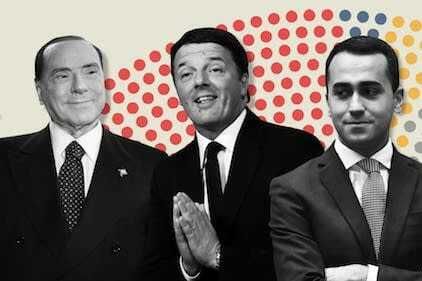 The March 2018 Italian elections open a chaotic period the outcome of which remains uncertain. Only a few years ago, the country was among the most “Euro-phile.” Now, the population is “Euro-skeptic” at level of 50% or more. The extreme right, openly nostalgic for fascism, has made a strong comeback and the traditional parliamentary right imagines that it can easily form an alliance with it (as in Austria, for example). “Populism” (in this context, the Five Star Movement) is characterized by unparalleled confusion, which makes it difficult to know exactly what its program is, if it actually has one. The left is in a marked decline. The explanations provided by the dominant media emphasize the issues surrounding the influx of immigrants, without inquiring into the reasons for this influx (such as the ravages caused by neo-liberal policies in Africa and the Middle East). These media do recognize Europe’s responsibility for abandonning the countries that are on the frontline of this influx because of their geographical location (Italy, Greece, and Spain). But that is the extent of their questioning. Sometimes, allusions are made to the miseries caused by Italy’s economic policy (but once again without challenging liberal dogmas). While these explanations appear accurate at first sight, they remain unconvincing. Analysis of the disaster requires a more serious look back at the past. Italy’s very existence as a political entity is recent. The formal unity achieved in the 19th century was hardly more than the conquest of the peninsula by the House of Savoy from Turin, made possible as much by the European conjuncture of the time as by the Risorgimento movement. Unity was achieved at the price of fatal compromises with the traditional ruling classes of the provinces (on the model of the Sicilian “gattopardo”: everything changes so that nothing will change). The peoples of the peninsula had probably always been more attached to their province and tended to be lukewarm towards a unitary state. A national civic-mindedness was little developed, which perhaps can be explained by the fact that the rulers of the Italian states were most often foreigners and the people saw in them only adversaries to deceive as much as possible. This weakness is today linked with the emergence of a populism that is nourished by the upwelling of a fascist undercurrent. World War I did not lead to any increase in a real national feeling, despite the rhetoric in that regard. On the contrary, it sharpened social conflicts, marked by the early formation of a powerful communist party and the reaction of the dominant classes, which invented fascism in what was then a second-rank capitalist country. In fact, Mussolini’s Italy is the prime example of this phenomenon, in contrast to German (Nazism) and Japanese fascism, which were the expressions of the ambitions of dominant (or aspiring to be dominant) capitalist powers. Mussolini–the inventor of fascism (including its name)–embodied the response the Italian right (former aristocracies, new bourgeoisies, middle classes) made to the crisis of the 1920s and to the growing communist threat. But neither Italian capitalism nor its political instrument, Mussolini’s fascism, had the ambition of dominating Europe, let alone the world. Despite the Duce’s boasts about reconstructing the Roman Empire (! ), Mussolini understood that the stability of his system was based on an alliance–as a subordinate partner–either with Great Britain–ruler of the Mediterranean–or Nazi Germany. Hesitation between the two continued right up to the eve of the Second World War. Yet, Mussolini’s fascism did attempt to reduce the extent of provincialism and substitute a new Italian nationalism, particularly by reinforcing Italian to the detriment of local dialects. The military disaster of World War II lies behind the collapse of the illusions fostered by this model of fascism for second-rank capitalist countries. Moreover, in Italy, as in France, the fight for liberation during the Second World War was also a semi-civil war. The defeated fascists were forced to hide in the decades following 1945 without ever disappearing completely. The country’s economy has remained fragile, despite the “miracle” that assured Italians a good standard of living, at least up to the current crisis. This “miracle” also lies behind the unreservedly pro-European choice that has dominated the entire Italian political space, eventually becoming the main cause for the dead end in which the country now finds itself. The postwar successes of the Italian Communist Party (PCI) led to remarkable progress in constructing a unified and authentically Italian society for the first time (beyond, of course, the class conflicts characteristic of capitalism, in Italy as elsewhere). Togliatti, followed by Berlinguer, contributed to this progress with great intelligence. The power of the movement was sufficient to influence, in some ways, the “center-left” state of the earlier post-war years, despite the withdrawal of the PCI into itself. The PCI truly built modern Italy and deeply imbued it with its culture. It shared a monopoly over the construction of a unified society only with Catholicism, dominated by a church that was able to hide its reactionary project, behind which lurked those nostalgic for fascism. The Christian Democrats were the public face of this other force in Italian political life. But this page of Italian history has turned. The veritable suicide of Italian communism, begun by Berlinguer’s successors and tenaciously pursued up to this day, lies behind the debacle and contemporary chaos. The distance taken early on by the Italian communists vis-à-vis Moscow’s dictatorship was in no way inevitably destined to lead to a later slide to the right. On the contrary, it could have been the source of a radical renewal, all the more so since Italy was, for a time, at the forefront of critical thinking and action during the “long 1968” of the 1970s. But the Italian Maoists failed. They did not succeed in contributing to the radicalization of the communist movement as a whole. On the contrary, they aided in giving an apparent legitimacy to the slide to the right, at the time expressed in terms of “Euro-Communism,” behind which hid an embrace of liberalism. The fascist danger today probably appears unable to threaten the “democratic” order in the United States and in Europe, at least to the west of the former “Iron Curtain.” The collusion between the traditional parliamentary right and the social liberals still makes it unnecessary for capital to resort to the services of the extreme right, located in the historical fascist movements. Nevertheless, the increase in popular struggles could well convince the ruling class to appeal to the services of fascists, as it has done in the past. The electoral successes of the extreme right over the last decade should be cause for concern. The European peoples are also victims of the development of the capitalism of generalized monopolies. It is understandable, then, when confronted with collusion between the so-called democratic parliamentary right and the so-called socialist left, they find refuge in electoral abstention, confusion, or voting for the extreme right. The responsibility of the potentially radical left is huge. If this left were audacious enough to propose real changes beyond the current capitalist order, it would gain the credibility that it now lacks. An audacious radical left is necessary to give ongoing, but still fragmented, protest movements and defensive struggles the cohesiveness they lack. The “movement” could then reverse the social relation of forces in favor of the working classes, which would allow for possible progressive changes. In the current situation, the electoral successes of the extreme right are to the advantage of the existing capitalist system. They make it possible for the media to heap opprobrium on both the “populists of the extreme right and those of the extreme left,” thereby obfuscating the fact that the former are pro-capitalist (as the descriptor “extreme right” should tell us) and thus possible allies for capital, while the latter are the only dangerous potential opponents of capital’s power system. We can observe, mutatis mutandis, a similar conjuncture in the United States, although its extreme right is never described as fascist. The earlier McCarthyism, the current Tea Party fanatics, and the warmongers (Hillary Clinton or Donald Trump) openly defend “freedoms”–understood exclusively as belonging to property owners and managers of capitalist monopolies–against the “state,” suspected of giving way to the demands of the system’s victims. “Risorgimento” means “resurgence” or “revival” in Italian. the Risorgemento was a 19th century political and social movement for Italian unity.–Trans. “Gattopardo” is the Italian name for a wild cat commonly called “serval” or “ocelot” in English. This is an allusion to the historical novel Il Gattopardo by Giuseppe Tomasi di Lampedusa, translated into English as The Leopard, which chronicles changes in Sicilian life and society during the Risorgimento. It was the basis for a 1963 film of the same name directed by Luchino Visconti.–Trans.